Plenum on a multi carb intake manifold for an inliner? [/img]I just stumbled across this photo of a home-built intake manifold. FWIW, I've built several intakes for inliners and it never occurred to me to use such a large plenum. Balance tubes were always common, but it seems the tunnel ram has gone retro. Your thoughts? Re: Plenum on a multi carb intake manifold for an inliner? I never thought about building a tunnel ram when I rebuilt the tractor engine for my grandpa. Opportunity missed on my part. That just looks so cool. I have never build a 4 carb intake for a inline. So cant say how the responce will be. I did a 2 carb on a chevy 6 there it favours the stock type runner size with one barrels. Did the 3 x1bbl but stock type intake. No tunnel ram types. Currently buzy on a big plenum 4bbl intake for my 266 inline chevy. Will see if the bigger plenum gives my uphill. Intake looks like a fat W.
Just playing to see what effect it has. I build it in such a way that if it fails i can change it to fit a blower and re use intake. Agree, and that's paramount for most of those type builds. On a flathead six Studebaker Champion, I took two SU carbs from a BMC 4-cyl, added a third leg and had the best intake I'd ever tried. I couldn't sell it to the customer, "It just doesn't have the look I want." He went with an Offenhauser 1 x 2 which performed less well but had the look. I would have made the intake runners much longer. Like a Chrysler slant 6 intake. Lots of mid range torque. So tune the intakes and exhaust for big torque boost. Joe Sherman's rule of thumb on TR plenums. Small carbs = taller height plenum. Ideally you'd want to make a adjustable prototype test plenum. Adjust carb height and plenum volume with plenum spacersand carb spacers. If the combined 4 carb cfm seems too big. Group the 4 carbs (eg 2 and 2) with twinned but connected plenums to allow using progressive linkage. This layout is still a TR but does allow you to lengthen the runners. On your straight tube plenum you could add a U shaped tuning pipe that connects both ends of the plenum. Now tune that pipe length just like a trombone slide to tune the plenum volume. And then play with carb height spacers+/- to get the carb height on the plenum right. Agree, but most times when asked to fabricate an intake, it's about what looks 'right' and then mostly about what will fit under the hood and always about how much it's gonna cost. Interestingly, the Slant Six came about to keep the length short via small bores. The 170" for the Valiant/Lancer would fit under hoods straight up, but Mopar also wanted a 225" "RG" version as optional and also for the full-size Plymouth, Dodge and trucks. 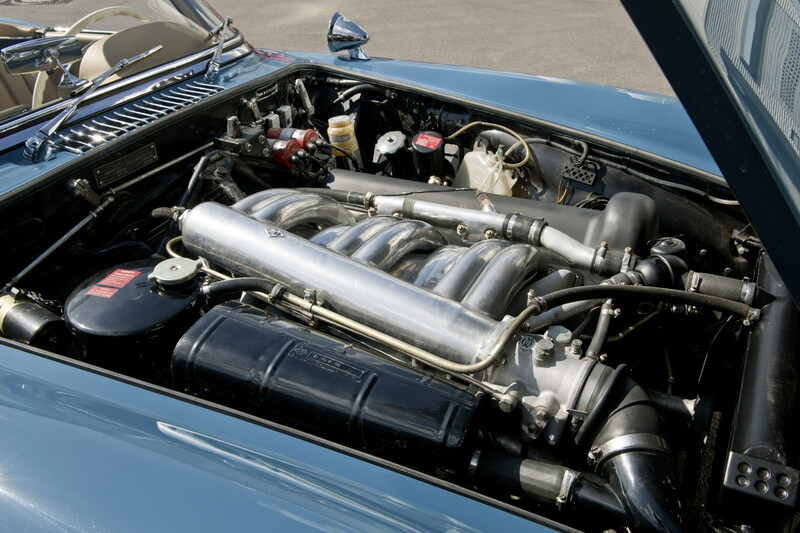 The resultant 4.125" stroke made the RG too tall, so the characteristic 30° slant of the cylinder block and the long intake was copied from the 1952 Mercedes-Benz 300SL. This enabled vehicle stylists to lower hoodlines, and also made room for the water pump to be mounted with a lateral offset, significantly shortening the engine's overall length. When i was hunting for pics to get ideas what some did for intakes i found this one. Dual plane for inline 6 with 4bbl. For chevy inline. Dont know if a dual plane wil work on them, because of the open intake ports. Despite the Plenum I bet at lower rpm it acts like a IR set up and there reversion issues which will be compounded by having 4 carbs. I guess your well on the road to find out ! As mentioned, most old inliners aren't going to live at much above 5,000 RPMs. Thus, long duration/big overlap cams aren't usual. At what cam duration/overlap would you feel reversion would become a problem with an IR intake? What cid motor is that where looking at?